Our onsite restaurant, Plaza Tolteca, is open for your dining pleasure. Named for its close proximity to Lexington Park, MD and the Patuxent River, La Quinta Inn & Suites Lexington Park - Patuxent is ideal for anyone seeking California MD hotels, Lexington Park MD hotels, or hotels near the Patuxent river area (Pax River hotels). 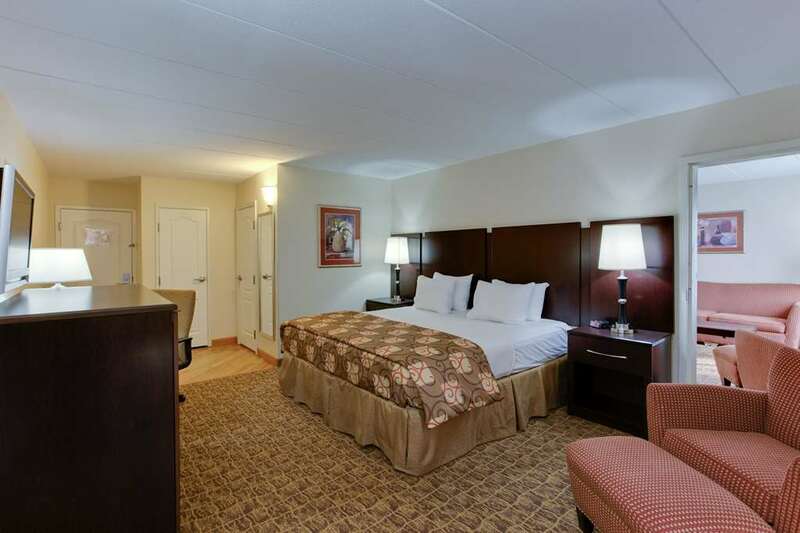 Enjoy the convenient location of the La Quinta Inn & Suites Lexington Park - Patuxent hotel, adjacent to the Patuxent River Naval Air Station, near shopping and dining venues, as well as, historic museums, and area businesses. Our on-site business center, fitness center, and outdoor pool will ensure you have a comfortable stay. In addition to free high-speed Internet access, each of our spacious rooms features a microwave, refrigerator, coffee maker, hairdryer, and more. Wake up each morning to a free Bright Side Breakfast in the lobby. If you are planning a trip to California, Maryland or Lexington Park, MD plan on making La Quinta Inn & Suites Lexington Park - Patuxent your lodging headquarters.